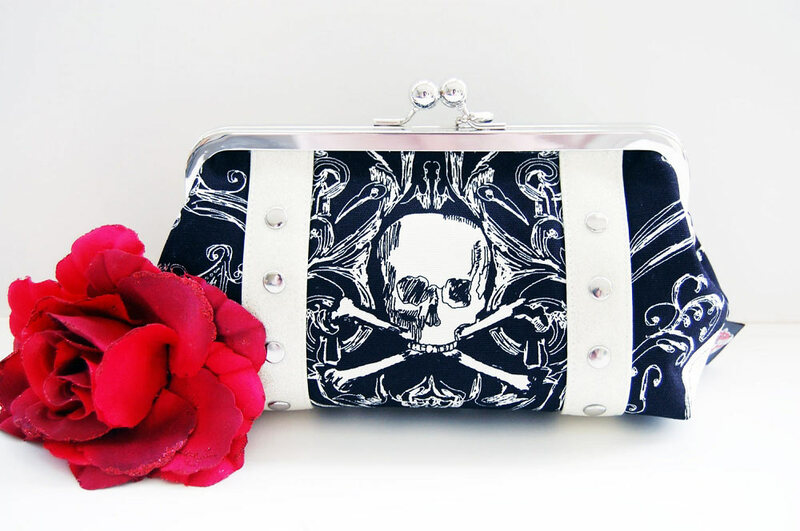 The retro Skullduggery clutch features black cotton fabric printed with images of skulls and crossbones set in ornate filigree. It is accented beautifully with white sparkling metal flake glitter vinyl. This clutch is the perfect size for an evening out on the town-- fits right under your arm. Flat dimensions are: 11" long at the longest point, 7" high, 2.5" wide. 8" frame. Lined with a sturdy black cotton and inside you will find a zippered pocket. 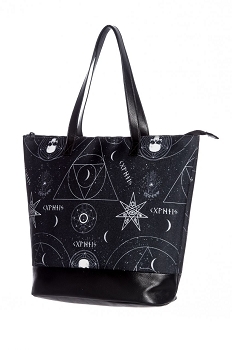 Because each bag is individually made, fabric image placement may vary slightly from photo. These clutches are custom ordered and made individually!